You may have noticed my posts have been less frequent and it's a result of our traveling over the past week (as you probably caught on to if you follow me on Twitter). We spent time in the South with both of our families. It was a fun-filled week of sun/humidity and good company/food! I felt spoiled at times. The trip started out with a lot of travel delays, but we were so happy to make it to Tennessee Sunday night. 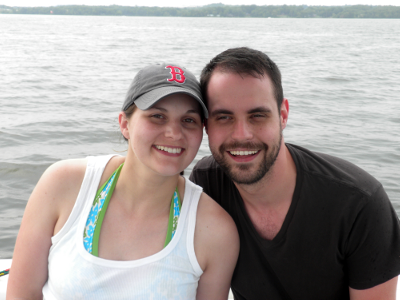 We were fortunate enough to spend the fourth of July on a lake and the weather was splendid! We enjoyed a low-key few days with my husband's family (including a trip to Hobby Lobby, a must when I'm outside of New England), though I failed to get any photos of them! I learned my mother-in-law is great about taking photos with my camera (and then she's not in any). Sneaky! We also got our doggy-fix from Charlie. Check out this fun video of his soccer/dribbling skills! 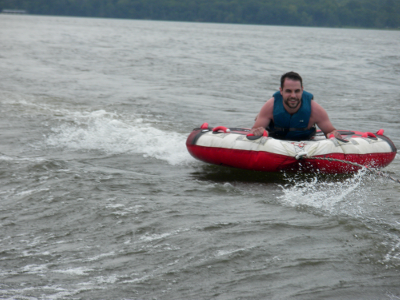 My husband can barely keep up. We drove to North Carolina on Thursday to spend time with my side of the family, who gathered for Granny's 90th Birthday Celebration. We decided seven hours in the car from Nashville to Charlotte is much more pleasant than seven hours driving from Boston to Baltimore...thanks to the beautiful Smokey Mountains and way fewer cities! 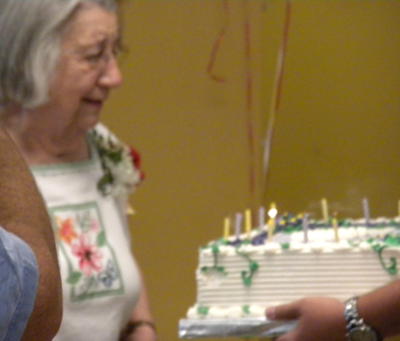 Granny's 90th Birthday Party brought family and friends from across the miles. We ate Carolina bar-b-que, baked macaroni and cheese, a delicious salad and banana pudding at her party (another photo fail on my part). 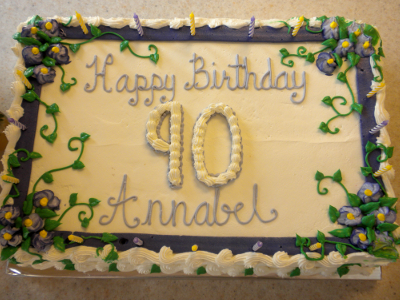 Tomorrow is her actual birthday and I will share a bit more about my spunky grandmother. I'm happy to be home...mostly to be reunited with our pup, Milton. It was his first time boarding and we were relieved to hear them say "everyone loves Milton" when we picked him up today. How will/did you spend your summer vacation? What a fun vacation in our neck of the woods!